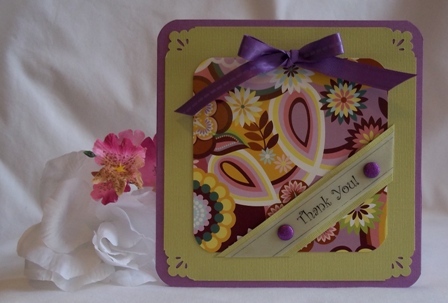 These thank you card ideas should be quite simple to make. 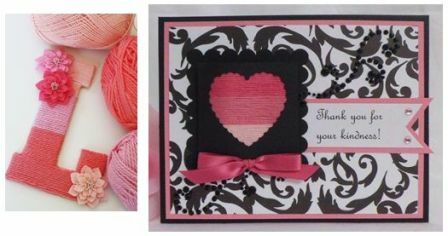 If you are making a lot of thank you cards, then you want to find ways to make them quickly, often using whatever shortcuts you can find. 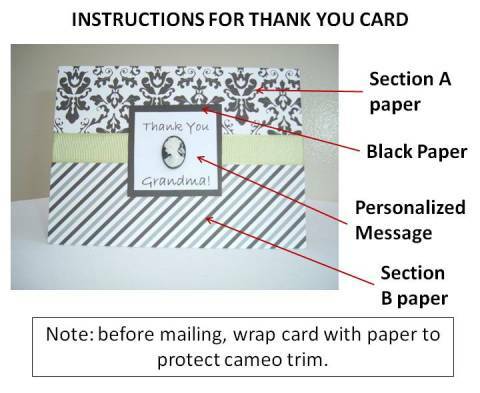 If you want to make it elaborate, then think about who you are giving the thank you card to and make it personal by thinking about the personality of the person that's getting the card. I often keep old greeting cards so that I can recycle them. 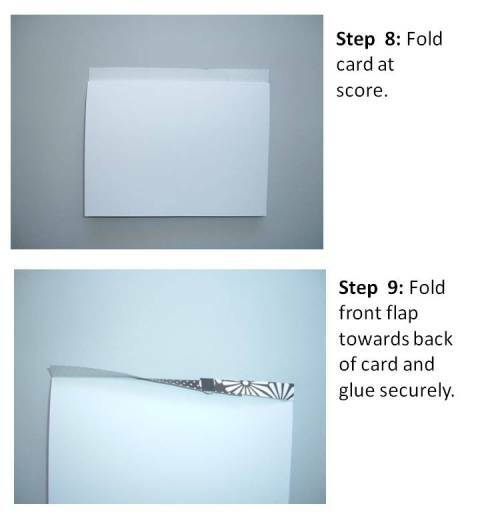 If it was from a child's birthday card, consider recylng and repurposing it and make it into a thank you card. 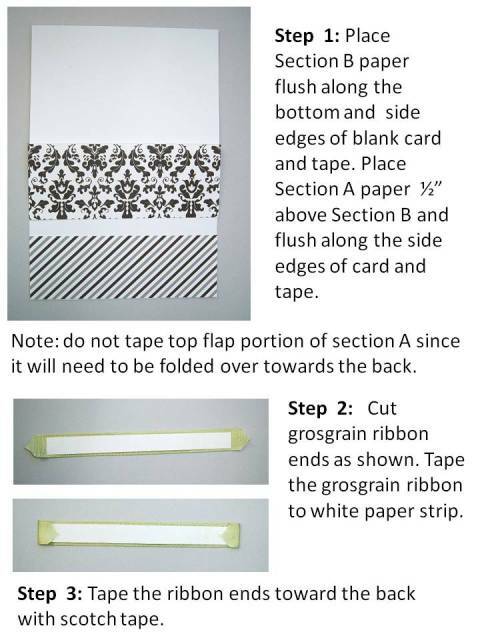 Use the front of the used card and embellish it with ribbon, gems or stickers. 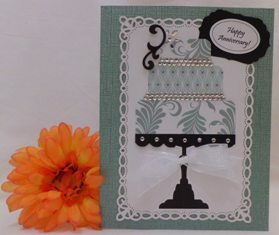 Thank you card ideas don't have to be complicated. Since you generally have to send out quite of few, the thought of creating a large quantity is daunting. 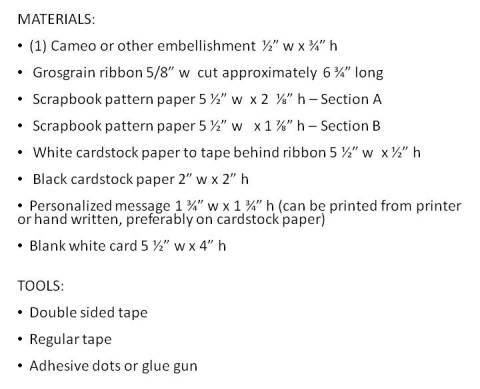 Click here for instructions you can premake them and add your personalization at the end. 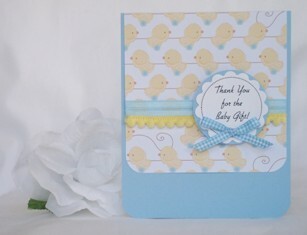 Click here for instructions You can make a handmade thank you card for a baby gift. 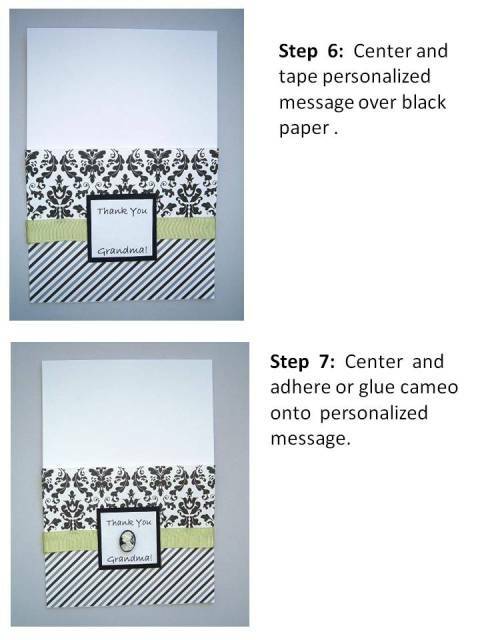 Continue the theme of your shower invitations onto your thank you cards and if you print the sentiment on your computer, you can personalize it. 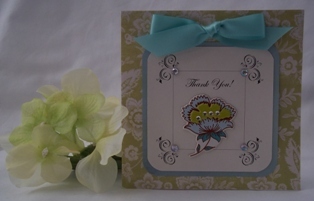 No one usually expects handmade thank you cards so when they do get one, they feel special. 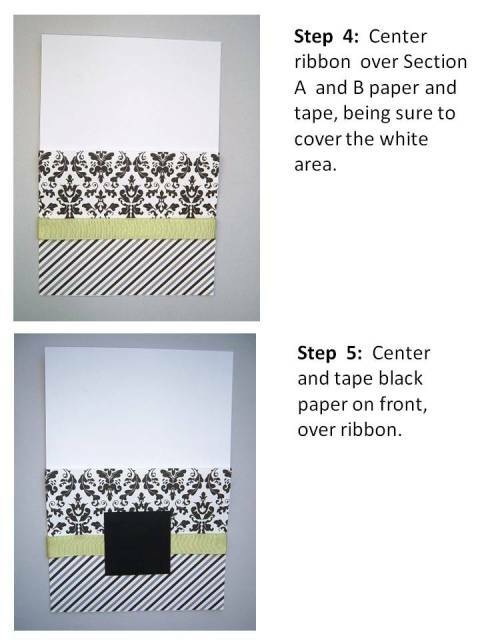 If you do get crunched for time, for quick idea, purchase a plain boxed set and add ribbon, trim or adhesive jewels to spice it up. Using a hot glue gun can speed up the process since the glue dries quickly. Or adhesive dots work just as well. 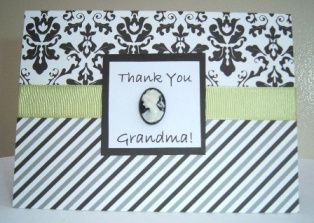 For this card, I embellished it with green grosgrain ribbon and a cameo since I thought a cameo would be perfect for Grandma. She's sure to cherish this as one of her mementos from you. Unique thank you gifts. Every thank you deserves a gift. With these easy to make gift baskets, you can say thank you every day.